Master Upholsterers – experienced skilled tradesman From re-covering to stitching, re-upholstery to creating bespoke items our team can turn their skills to every job. Latest News...... We have just been chosen to work at the this years Ideal Home Show in London. The move to our new premises is now complete. A wide range of good quality fabric choices. From checks to chintze and from classic patterns to more up-to-date fabrics we always try to offer the customer the best quality fabric to suit the job. Safe, secure full-insured premises We have recently moved premises to a modern well-equipped and fully-secured premises just outside Epping. above all, quality upholstery service. There is no job too large or small for Master Upholsterers UK, whether it is working for the Lanesborough Hotel in London, where we have made and fitted wall panels in the Apsleys restaurant, re-covering of the famous sofas on the “Good Morning” programme or even to restoring that tired piece of furniture to its glory days once again. Our fully-trained team offer a FREE call out service to assess the nature of the work as well as to advise you on whether re-upholstering is the best option. If it is, we will provide a free no obligation quote on the spot. With a wide range of quality fabrics to chose from as well as the quality of workmanship that only comes from years of experience. We also create bespoke furniture to your specifications and even undertake repairs and alterations to the size or shape of your furniture. For us, the most important aspect of our work is to give a personal, friendly service at a time convenient to you offering estimates and advice – don’t forget we offer this totally free! NO MATTER THE SCALE OF YOUR JOB, CONTACT US TODAY FOR A FREE COMPETITIVE NO OBLIGATION QUOTE. 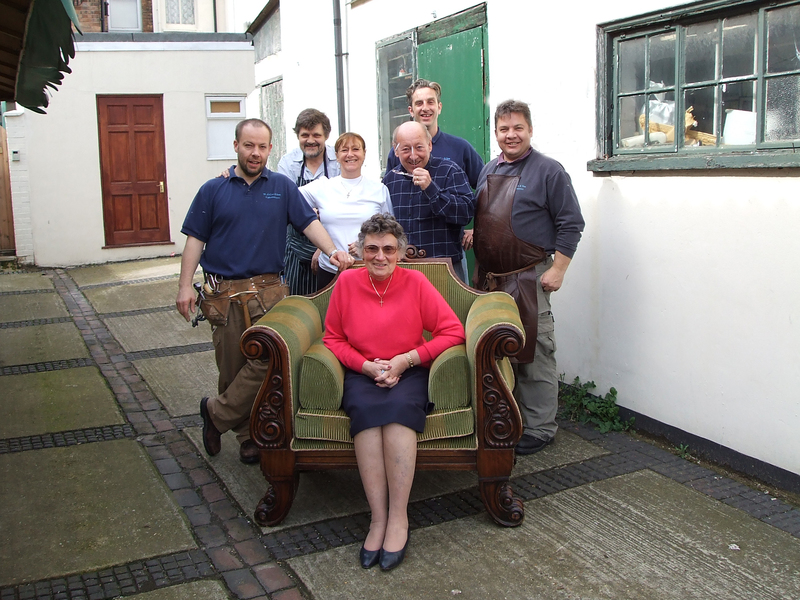 Master Upholsterers UK Registered Address: Asheton Farm, Tysea Hill, Stapleford Abbotts, Essex RM4 1JU.